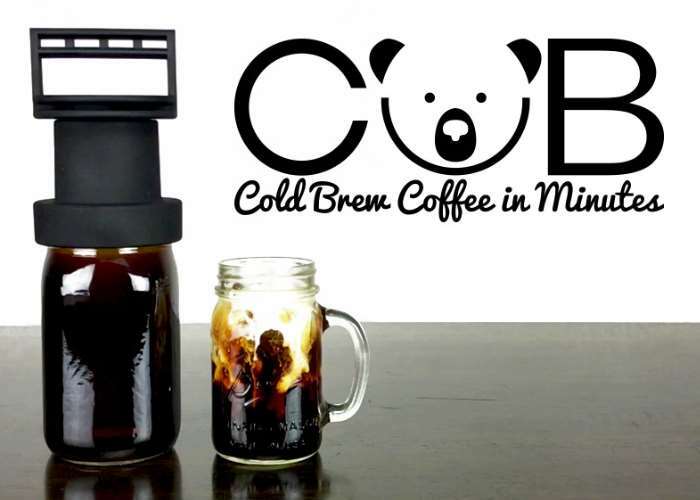 Coffee drinkers that would like to enjoy a cold brew coffee in just minutes rather than hours, may be interested in a new cold brew coffee making set which has been created by CUB Cold Brew. For those who haven’t tasted a cold brew coffee, the drink provides a highly caffeinated, less acidic smooth tasting coffee. Watch the video below to learn more. The CUB Cold Brew coffee making system has this week launched by a Kickstarter and is available to back with pledges starting from just $44 and shipping expected to take place during July 2017 throughout the United States. Unfortunately there are no international pledges but hopefully the company will offer one in the near future. The CUB Cold Brew System was created out of necessity, for on demand cold brew coffee. This is the only cold brew system that has been proven to make highly caffeinated, less acidic, and smooth tasting cold brew coffee in 15 minutes. For more information on the CUB Cold Brew System jump over to Kickstarter using the link below.